Marrakech, 12 July 2017 – On the occasion of the Green Africa Innovation Booster conference in Marrakech, IRESEN and RES4MED&Africa have signed a Memorandum of Understanding to formalize their cooperation. IRESEN General Director, Badr Ikken, and RES4MED&Africa Secretary General, Roberto Vigotti, gathered at the conference to formalize the MoU agreement in presence of the conference attendants and press during a signing ceremony. The MoU is the result of clear synergies between IRESEN and RES4MED&Africa and will provide a framework for future collaboration on research, innovation and the deployment of renewable energy technologies in Morocco and Africa. “IRESEN welcomes enhanced cooperation with RES4MED&Africa to be on the forefront of industry trends and innovation by promoting partnerships and knowledge exchange on green energy technologies. Based on the existing synergies between IRESEN and RES4MED&Africa it is a great pleasure for us to sign this MoU and we look forward to taking our joint collaboration forward” – IRESEN General Director, Badr Ikken. IRESEN & RES4MED&Africa’s enhanced cooperation will focus on developing joint activities on scientific and technical expertise in the renewable energy sector such as innovation, knowledge and network exchange, capacity building and training, and encouraging industrial partnerships. “We are very excited to formalize and deepen our partnership through this MoU with IRESEN. IRESEN plays a pivotal role in Morocco’s renewable energy leadership by prioritizing research and innovation on renewables in Africa and we consider IRESEN as a key partner to promote the deployment of renewable energy in Morocco and Africa.” – RES4MED Secretary General, Roberto Vigotti. The Green Africa Innovation Booster is a two-day international networking event organized by IRESEN in Marrakech on 12 – 13 July 2017, connecting industries, institutions and decisions makers to innovative startups operating in renewable energies, energy efficiency, smart grid, sustainable mobility, energy storage and new energies. Through this event, IRESEN encourages excellence in clean energy and aims to support research and innovation in Africa. The event aims to make Africa a platform for innovation by encouraging the spirit of green creativity throughout the African community. L’Institut de Recherche en Energie Solaire et Energies Nouvelles (IRESEN) is a research institute created in 2011 by the Ministry of Energy, Mining, Water and Environment, with the participation of several key players of the energy sector in Morocco devoted to accompany the national energy strategy, by supporting the research and innovation used in the field of solar energy and new energies. Renewable Energy Solutions for the Mediterranean & Africa (RES4MED&Africa) is an association that promotes the deployment of large scale and decentralized RE & EE in Southern-Mediterranean and Sub-Saharan African markets to meet local energy needs for growth. 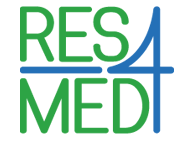 Since 2012, RES4MED&Africa gathers a member network from across the clean energy value chain and supports the creation of an enabling environment for renewable energy investments and strategic partnerships.